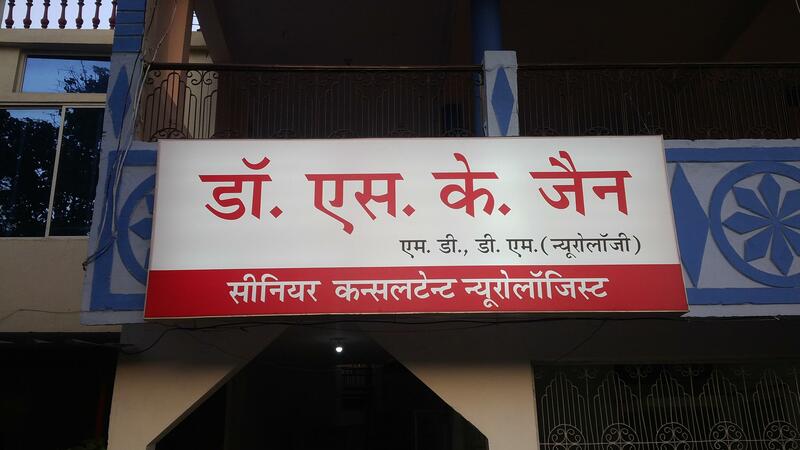 Dr.S.K.Jain Clinic is a Neurology Clinic in Piplani, Bhopal. The clinic is visited by doctors like Dr. S.K.Jain. The timings of Dr.S.K.Jain Clinic are: Mon-Sat: 17:00-20:00. Service provided by the Clinic is: Consultant Neurologist. Click on map to find directions to reach Dr.S.K.Jain Clinic. Good. Takes maximum time for diagnosis and listens to the patient's complaints patiently. Prescribes the medicines what the patient actually requires.